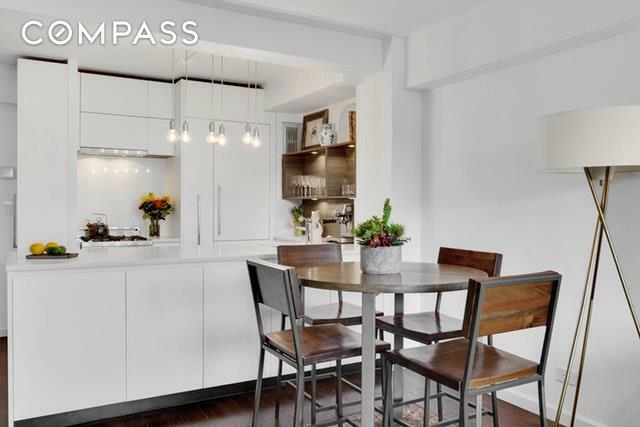 Stunning gut-renovated Prime West Village 1 Bedroom apartment with dramatic open city views of the striking Jefferson Market Library Clocktower and garden. The North and East facing windows bask the apartment in warm morning sunlight. Leaving no detail untouched, the state-of-the-art open kitchen features white Caesarstone counter, sleek white lacquered custom cabinetry with built in Liebherr refrigerator, Bosch dishwasher and Sharp microwave drawer. The stainless steel Bertazzoni range is truly a chefs dream. The kitchen and bathroom floors are both adorned with beautiful dark gray Nemo Strada Porcelain tile. 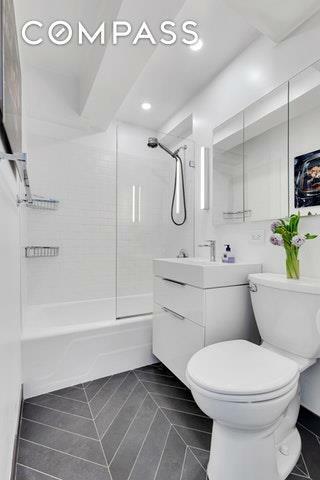 The aesthetically pleasing modern bathroom features fixtures from both Renovation Hardware and Kartell by Laufen. The bedroom is smartly outfitted with a custom closet and an additional wall of built in cabinetry. 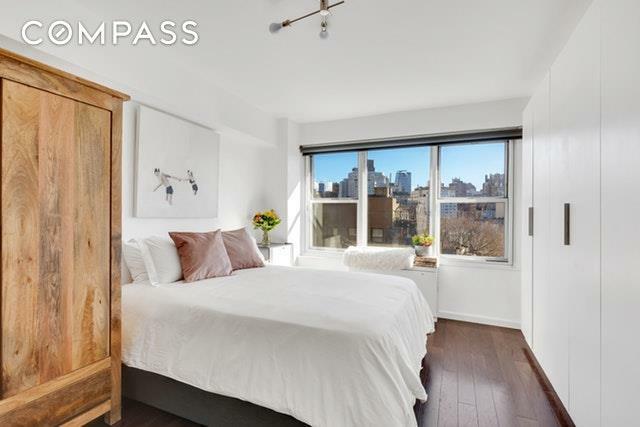 This apartment also features remote control custom window shades, a central heating and cooling unit in each room and city windows in the bedroom for a pin-drop quiet sleep. Live in the neighborhood of your dreams. The St. Germaine is situated in one of the most vibrant locations in the entire city, with close proximity to Washington Square Park and some of the most coveted shopping, restaurants, cafes and nightlife that the West Village has to offer. 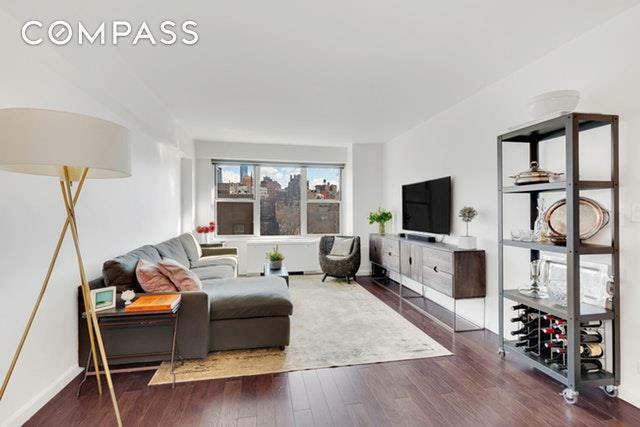 33 Greenwich Ave is a pet friendly full-service luxury elevator building that offers a 24 hour doorman, fitness room, planted and furnished common roof deck, garage, bike room, central laundry room and live-in super. The Co-op allows Subletting, Co-purchasing, Guarantors, Pied-a-terres and parents buying for children. Located between two major avenues and next to 11 trains, navigating around the city from your new home will be an absolute breeze. Listing courtesy of Jason Baker of Compass.